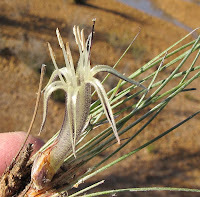 This small clumping plant has strange looking greenish flowers, which despite commonly being longer than 6 cm (21/4”) in length are not exactly attention grabbing as they blend into the silver/green foliage. 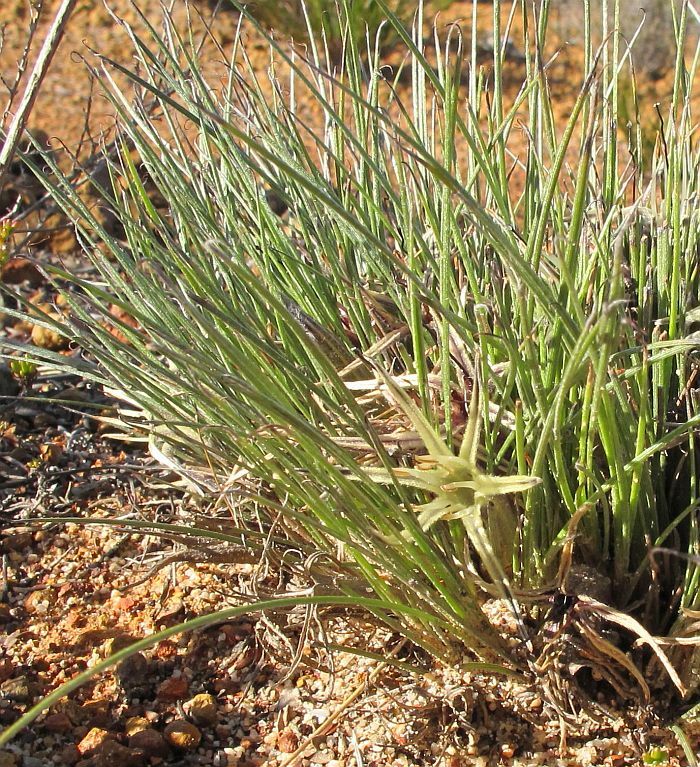 Consequently these perennial grass-like herbs are easily overlooked, although further west there are cream coloured forms that would be more obvious. 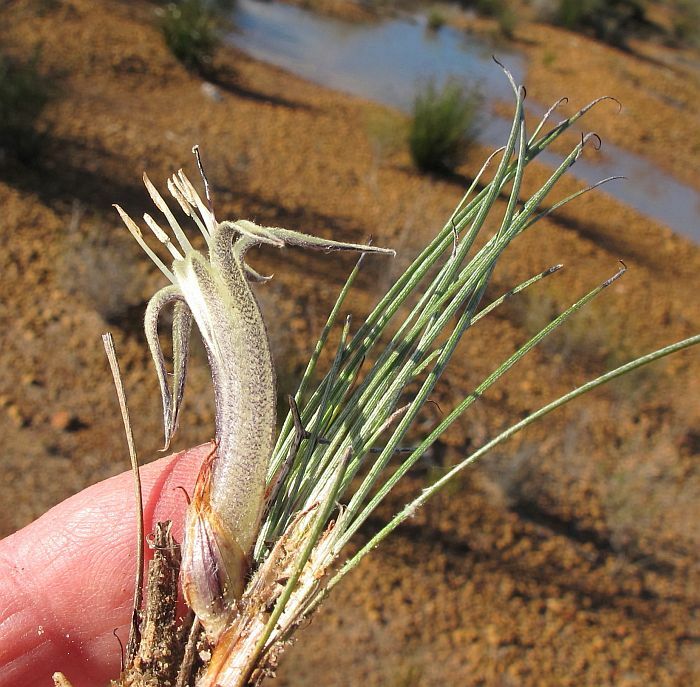 Being such a delicate flower, they are only produced in the cooler/wetter months of July and August and as they have a sedge/grass-like appearance, become largely invisible amongst other similar looking vegetation at other times. 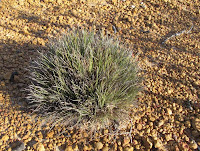 So once again, you need to be in the right place at the right time, plus be looking in the right direction. 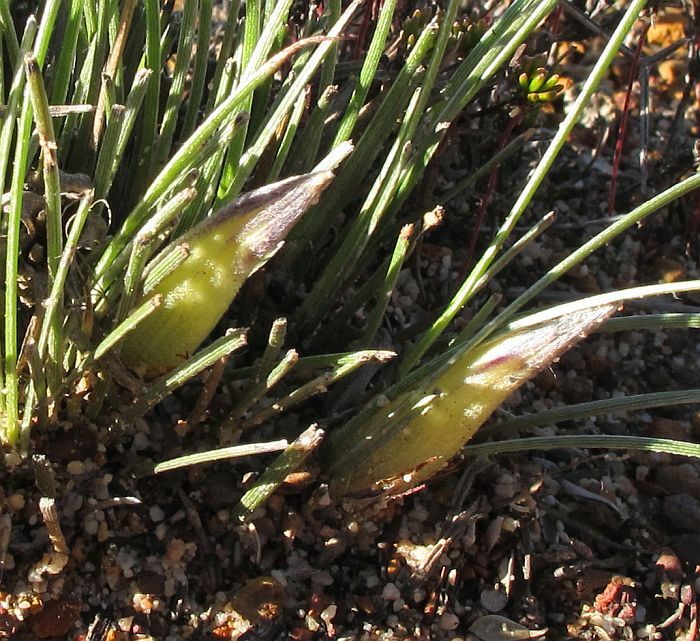 Conostylis argentea occurs along the coast from Munglinup (100 km or 60 miles west of Esperance) to Bremer Bay (140 km or 90 miles further west), but is more of an inland species extending to NW of Kalgoorlie. 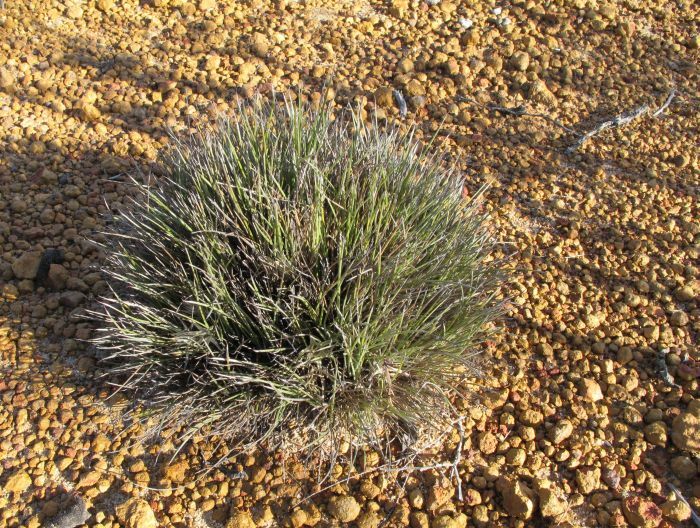 Locally it favours gravel soils, sometimes with a shallow sandy overlay, however it is also recorded growing on various sandy loams elsewhere. 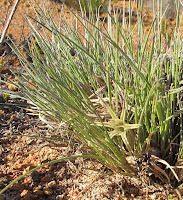 The Silver Conostylis is unlikely to be confused with any other species in the Esperance region, although along the west coast and slightly inland (but not overlapping), exists a similar looking plant called Conostylis androstemma, which has terete (rounded in cross-section) foliage that is without hairs (glabrous). 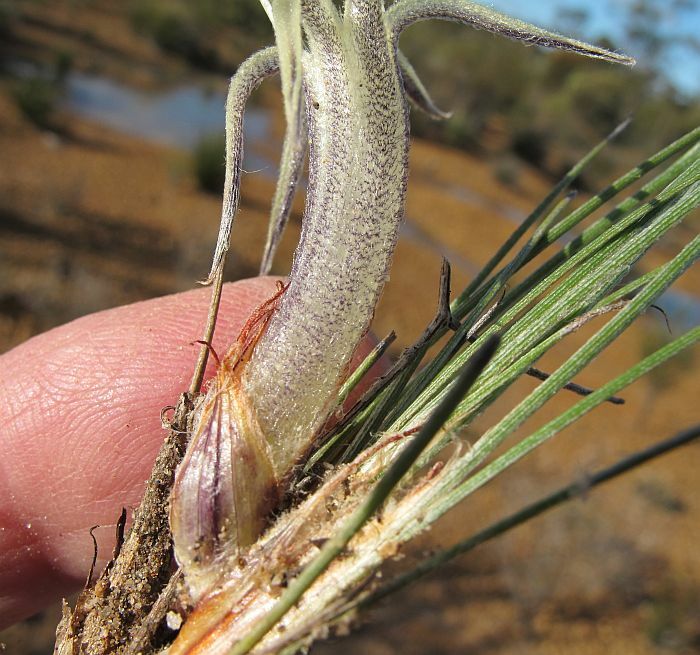 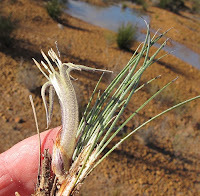 Whereas Conostylis argentea has flat hairy foliage, which I might add is periodically eaten by rabbits (if around), but apart from the adverse visual aspect causes no harm to this species, as it readily produces more leaves from an underground rhizome, as it would naturally do after bushfires. 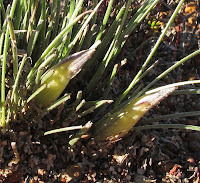 The Conostylis genus belongs to the ornamental Haemodoraceae family.